Nottinghamshire homebuyers looking for their dream home should enquire quickly as there is only one home remaining for sale at Rippon Homes’ popular Oakham Gardens development. Located on the outskirts of Mansfield, Oakham Gardens is a development of 25 stylish properties. 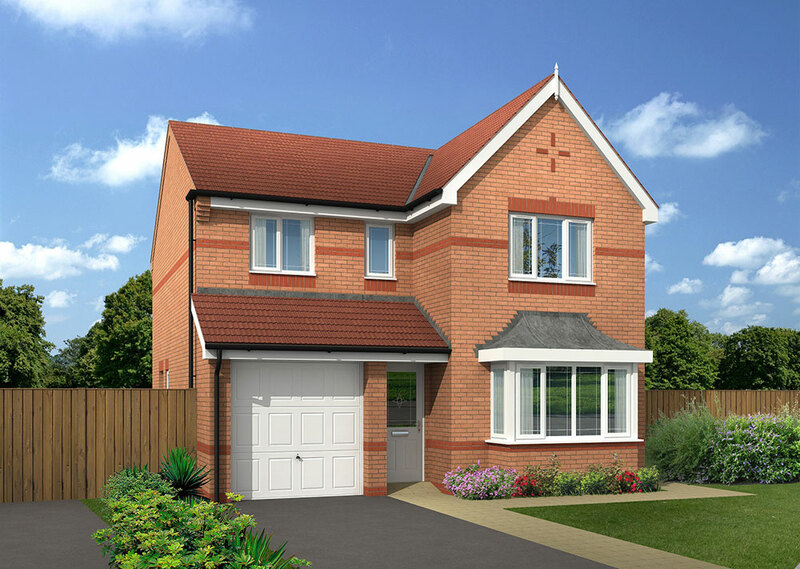 The last remaining home is plot 14, a stunning four-bedroom detached “Arlington” style. Ideal for family living, The Arlington offers a spacious fitted kitchen/dining area, with French doors leading onto a private fenced and turfed rear garden. There is an integrated garage and a downstairs cloakroom, as well as a spacious lounge also on the ground floor. The first floor comprises four bedrooms, an en-suite to bedroom one and a family bathroom off the landing. The property also benefits from parking for two cars on the driveway with a side access gate to the secure garden area. Ian Dyke, Managing Director at Rippon Homes said: “Oakham Gardens has proven to be a popular development with families, as the homes offer spaciousness and a secure garden where quality family time can be spent. Oakham Gardens is also ideal for commuters and young professionals, as it is within easy reach of the A60, A38 and M1 for travel to Nottingham, Lincoln, Newark, Derby, Leicester and beyond. Mansfield also has its own train station, which offers good rail links. Priced at just £221,000, The Arlington is available to purchase with the Help to Buy scheme or Rippons’ own Sales Assist scheme. Rippon Homes Sales Assist scheme is where Rippon pays the estate agents fees and asks two local estate agents to make arrangements and value the homebuyer’s current house. This saves time and money for homebuyers, as well as the hassle of instructing an estate agent. Ian concludes: “We are proud to offer schemes to assist homebuyers in finding their dream home. Whether you are a first time buyer or are looking to upgrade to a Rippon home at Oakham Gardens, we will help you every step of the way. For more information about the final home remaining at Oakham Gardens, please visit https://www.ripponhomes.co.uk/find-a-new-home/oakham-gardens/ or call 07899 981316.